So, the most important question is how to chant the holynames to actually access this grace? Lord Chaitanya taught us in a verse which is like the golden rule for Gaudya Vaishnavas. The Golden rule in the western scriptures is “do unto others as you would want them to do to you”. Now that same principle is very deeply propounded in this verse: trinadapi sunichena, one should be more humble than a blade of grass, you can trample on grass and you can do so many things on grass. In India, the grass near the railway stations you know what they do on it, near railway tracks, so many thing but the grass just humbly accepts. To be humble like the blade of grass, to be tolerant like a tree, to offer all respect to others and expect none in return. It is only in this spirit that we can access the mercy of the holy name. Chanting of the holy names of the Lord is emphasized in many religious traditions, including Gaudiya Vaishnavism. Gaudiya Vaishnavas are the followers of the mystic avatar Sri Chaitanya (1486-1534). Sri Chaitanya worshiped Radha and Krishna and popularized the congregational chanting of the names of God, kirtan. His followers revere him as an incarnation of Krishna, prophesied in the later chapters of the Srimad Bhagavam, who appeared to teach the path of Bhakti. Sri Chaitanya also taught the golden rule by which the chanting of God’s holy names, kirtan, can be most effective. 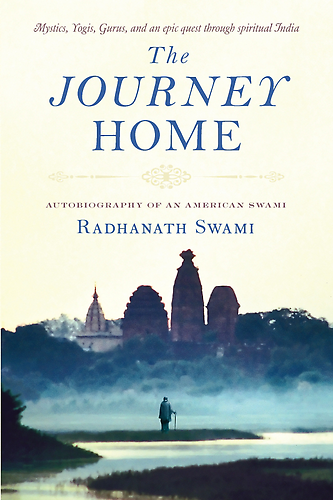 Radhanath Swami elaborates on the same in the above audio clipping…. 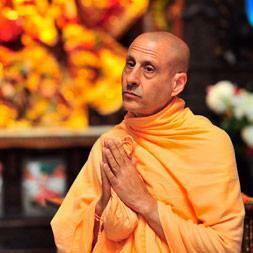 6 Responses to "The Golden Rule for Kirtan"
Very inspiring clip for improvement of chanting. Humility is crest gem on path of bhakti. Thank you very much for sharing this clip. Great message from a true man of God . It is hard to imbibe , though, in our day to day lives since the conditioned soul always protects the false ego . To achieve this level is what we should aspire for . Thank you for the information on how to chant the holy names of the Lord. Lord Chaitanya is very merciful incarnation of Lord Krishna and Shrimati Radharani.